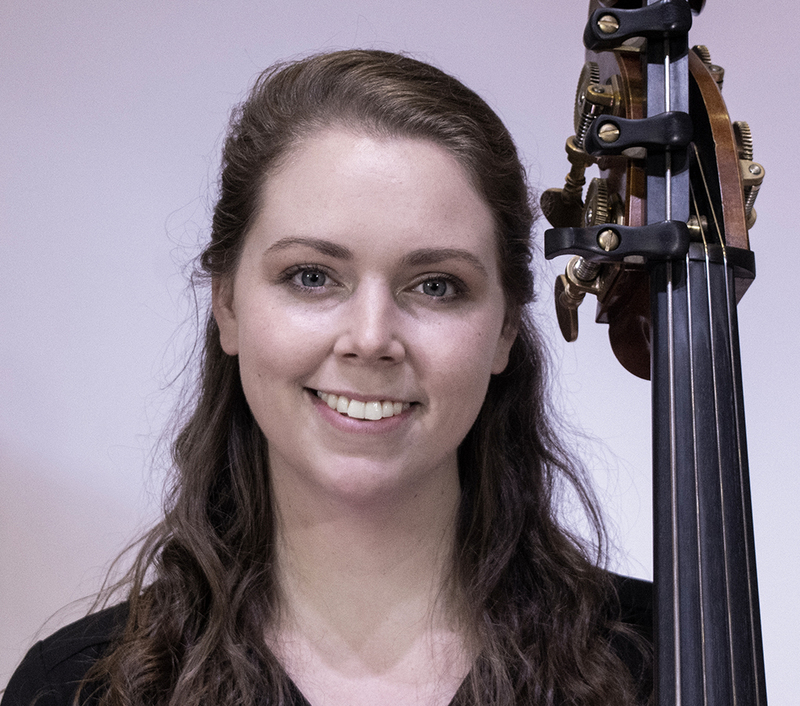 Lindsey Orcutt joined the bass section of West Michigan Symphony in 2018. She currently resides in Chicago, Illinois where she performs as a member of the Civic Orchestra of Chicago. She holds a Masters in Music Performance from Northwestern University where she studied with Andrew Raciti. Previously, she received her Bachelor’s degree in Music Performance from Ithaca College, studying with Nicholas Walker. Other primary teachers have included Ira Gold, Shawn Conley, Peter Leerdam, and George Vance. In past years Lindsey has attended Aspen Music Festival and School, Le Domaine Forget Music and Dance Academy, Centre d’Arts Orford, and Rocky Ridge Music Center. She has performed in masterclasses for Paul Ellison, Alex Hanna, Max Dimoff, and Kristen Bruya.